At Show Biz Limousine, our goal is to help you eliminate stress in your travel routine. Whether you need to get to Kennedy Airport on time for a vacation or you're an executive who holds a high standard of transportation, you'll arrive stress free with our Limousine Service. Instead of driving to Laguardia Airport and dealing with insane traffic and absurd parking rates, let one of New York's premier limousine service shuttle you there. Our professional chauffeurs know all the short cuts and will always get you there on time. 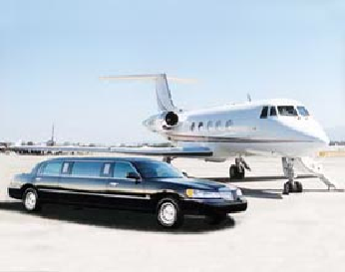 They will spoil you with fantastic service and amenities as you ride stress free to, or back from the airport. Ask about our frequent flyer discounts. Show Biz Limousine's corporate division is second to none. We offer an exceptional corporate rate policy to meet your company's specific business requirements. Our personalized service and understanding of the special conditions and high standards required by corporate executives sets us apart from our competitors. We accept all company checks. Multiple billing options are also available. Our frequent travelers can enjoy volume discounts. To set up an account for our special corporate rates, kindly give us a call at (516) 681-5466.